Perini Navi, world leader in the design and build of sailing and motor yachts, is once again one of the leading participants in the second edition of the Versilia Yachting Rendez-vous, the exclusive international appointment for the high-end yachting industry, that will take place in Viareggio from May 10th to May 13. 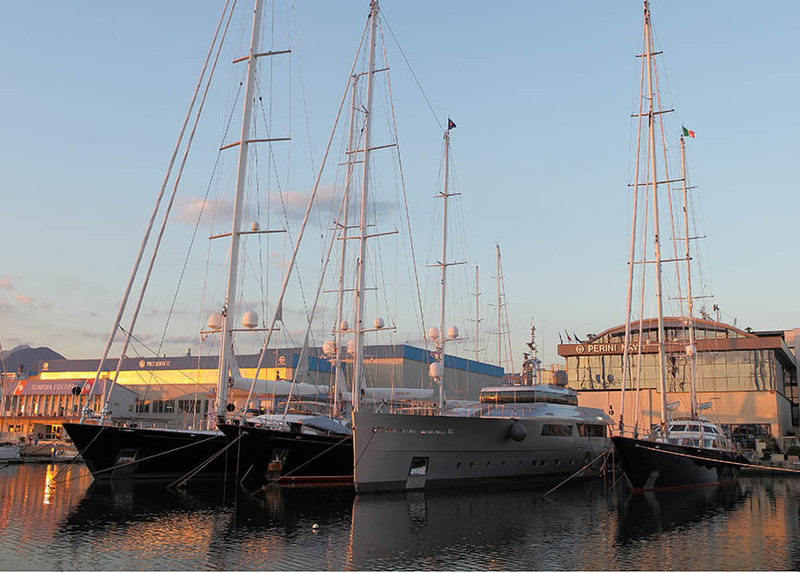 Four vessels moored in front of Perini Navi’s shipyard will showcase the evolution in style and technology of the celebrated shipyard: Seven, Dahlak, Xnoi e Spirit of the C’s. 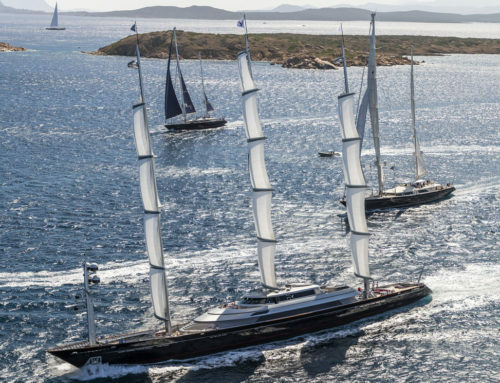 Seven, a 60 metre aluminium ketch and the last yacht delivered by Perini Navi in 2017, is the 62nd unit in the fleet. Recognized for Best Lighting at the Boat International Design and Innovation Awards, it is the third unit – after Seahawk and Perseus^3 – of the 60 metre series developed by Perini Navi, that collaborated with Ron Holland to develop its naval architecture. The fourth unit is currently under construction and will be delivered in 2020. Dahlak, a 38 metre sloop navigating from 2016, is the result of the collaboration between Perini Navi and the French naval architect Philippe Briand, who developed the naval architecture as well as the exterior lines. Thanks to a state-of-the-art sailing system, Dahlak represents one of the best examples of the shipyard’s technical innovations. 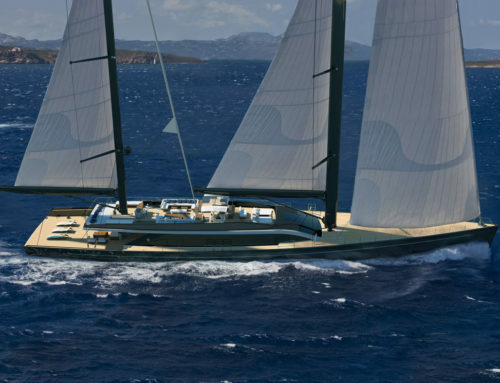 Xnoi, a 30 metre sloop with carbon fibre hull, superstructure and rigging delivered in 2012, was designed by Nauta Yacht of Mario Pedol and Massimo Gino and built by Perini Navi in its shipyard in La Spezia. 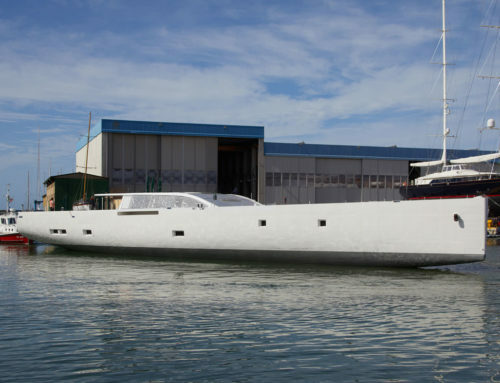 Spirit of the C’s (previously Felicita West), a 64 metre aluminum ketch, was the largest aluminum vessel in the world when it was delivered in 2003: a true revolution in the world of sailing yachts. Designed by Nuvolari & Lenard in collaboration with Perini Navi, it features a very performing naval architecture designed by the famous New Zealand designer Ron Holland. 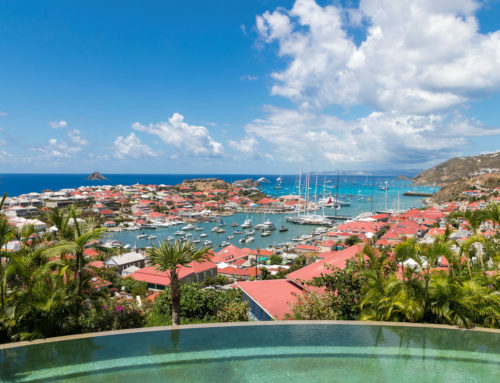 Following the official opening ceremony that will take place in the morning of May 10th at the Europa Dock, several events will kick off to involve owners, industry representatives, and all those who are passionate about high-end yachting.